It doesn’t happen often that I publish something Amiga-related. It’s not because I don’t want to, neither because I don’t have enough time, but simply because Tony and I balanced our workload to better fit each one’s needs. Nonetheless, I’m always striving to improve my skills in the Amiga environment, so I’m constantly looking for something that I can bring with me when I’m far from home. As you may as well know, there never was a dedicated Amiga laptop on the market (I hope someone can prove me wrong soon), yet many emulators (or alternative OSs) can provide such experience. 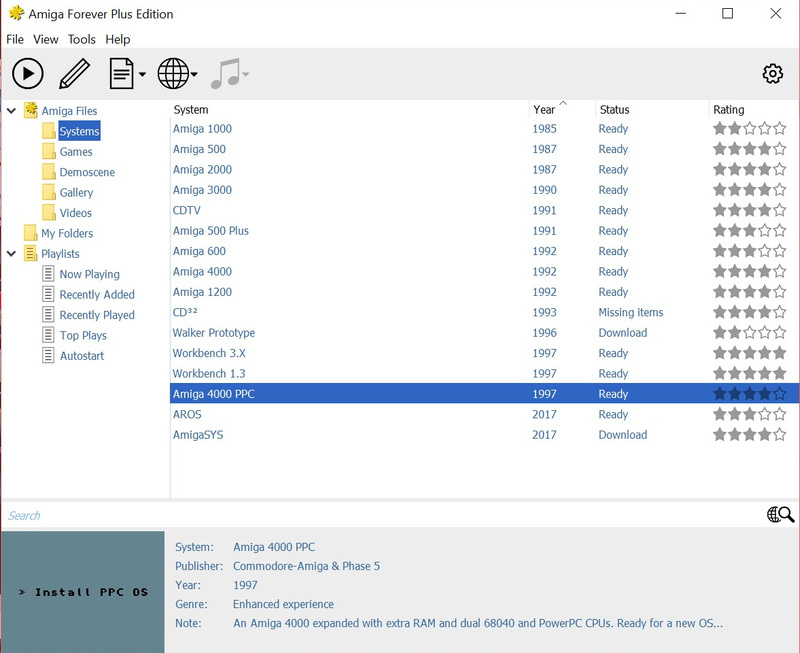 I have personally been a long-time AmigaForever user, but this enviroment (although a top-notch product) is based on “old systems” (up to AmigaOS 3.9), while what I seek is an AmigaOS4 experience. 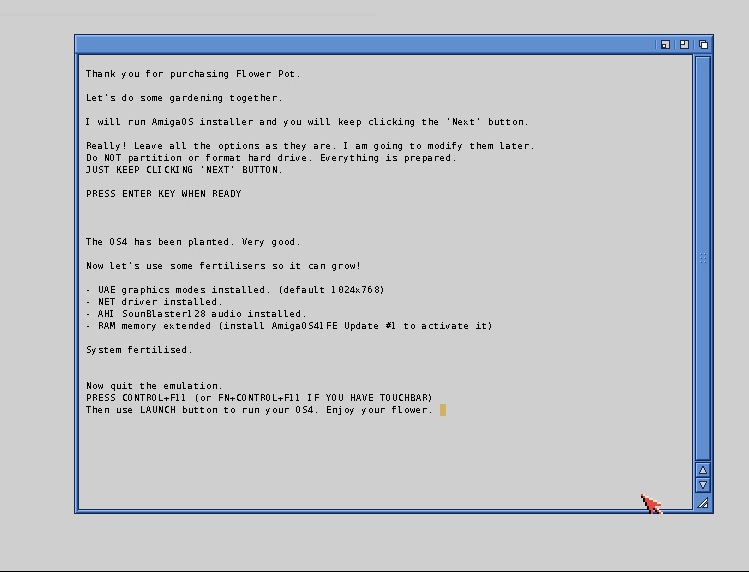 Luckily, a great coder named Ján Zahurančík, already “responsible” for the outstanding Amikit, has now produced FlowerPot, a complete installation of the latest AmigaOS4.1FE (Final Edition). This article in not an in-depth description on how to install the software (Ján covered that very well in the program documentation), rather I will try to give you back the look and feel of this experience. First off, you will need a copy of AmigaForever software (in order to get licensed ROMs) and an AmigaOS4.1FE Classic ISO image. You can get that from Hyperion. 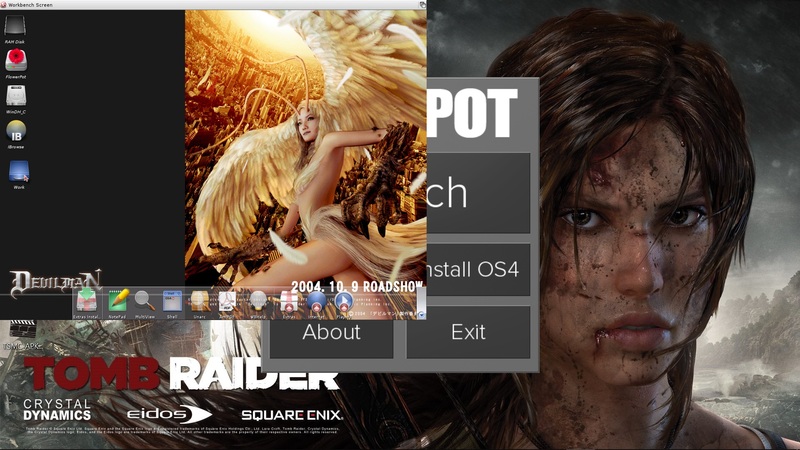 Once you get that, download and install FlowerPot exe. 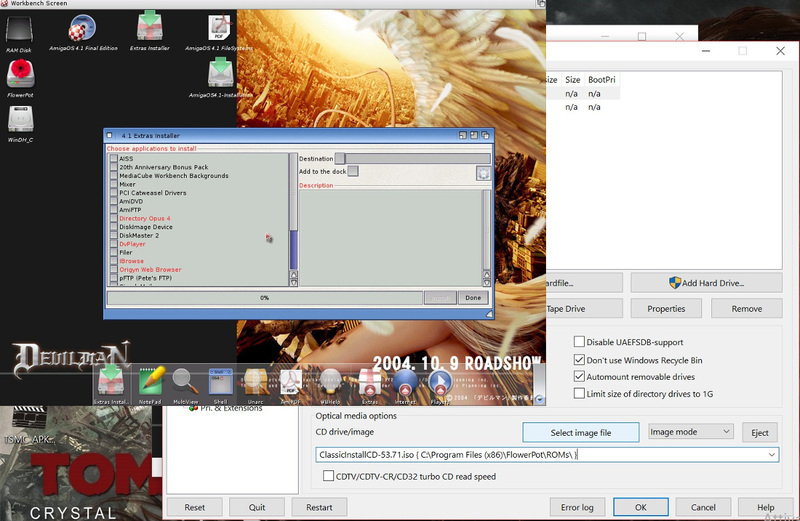 Now, go into the ROMs directory of you installation and copy the files as shown below. Be aware that the file ralphschmidt-cyber storm-ppc-441.rom will need to have a size greater than zero, otherwise the installation will crash. To make sure to have a “true” file, load up your AmigaForever software and run the A4000 PPC emulator. Once you have done that, just fire up your copy of FlowerPot, hit the Install OS button and relax. Everything has been already taken care of. Once you get to the following screen, double click the FlowerPot icon, then keep clicking NEXT without altering any feature until installation ends. It’s really as easy as that. So here it is, your personal, affordable, reliable and fully portable version of AmigaOS4.1FE (here running on top of Window$. I can’t really part away from that 2013 Lara’s reboot!). Installing extra software directly from the ISO is just as easy. Go to the configuration menu and select it. New icons will immediately show on your Workbench as if you inserted the CD in a real drive. From that point on, your only limit is the sky, since it really looks and feels like the “real” thing. 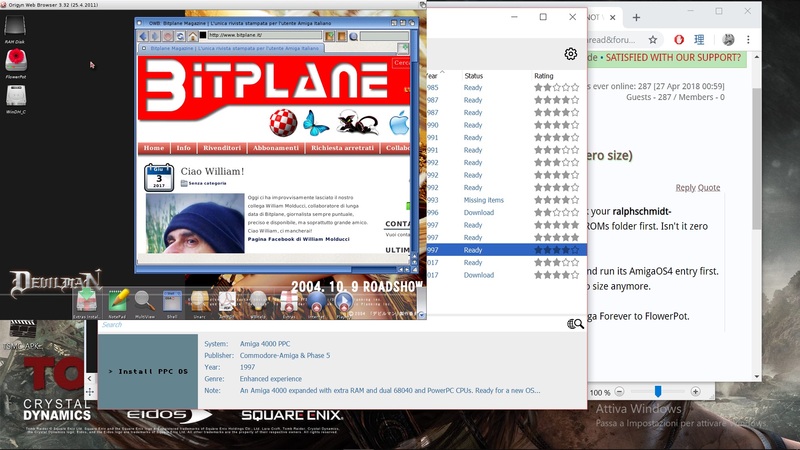 Network connections will be up already (everything is already taken care of), so in case you need additional software just load up your favorite browser and surf the net. I downloaded files both via a wi-fi connection through the home modem and through the smartphone hot-spot without problems. Of course, being it an emulation that runs over another machine, responsiveness can change depending on RAM availability and so on. In the end, FlowerPot is a wonderful product, that clearly shows how much love, affection, and effort Ján put into it. 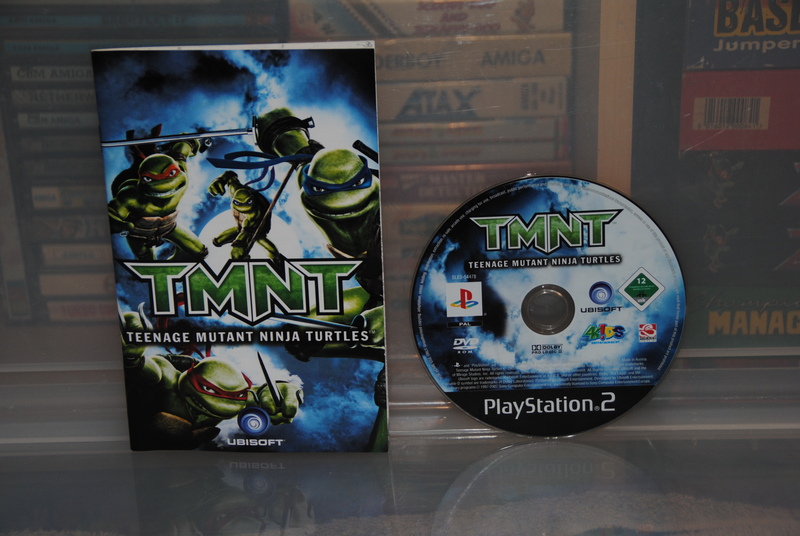 I personally think that it should not miss in your private collection, regardless of which Amiga flavor (AOS, MorphOS, ArOS etc …) you personally like. I can only suggest to try it out by yourself. Please be advised that, in case of need, there is also a support forum and that the developer is extremely quick to answer any question you may have.